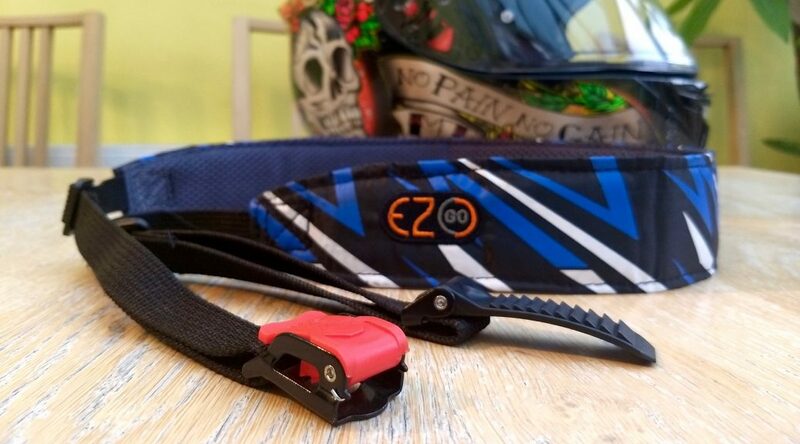 In essence the EZ-Go is a simple padded strap with helmet ratchet clips on each end. You just slot the two ends into the two halves of your helmet’s ratchet strap, then carry it over your shoulder. A two second job, that frees up your hands whilst you’re out and about. Genius! The strap is well made with substantial padding for comfort on your shoulder. The ratchets solid, metal frame and strong plastic, certainly no worries they’ll give out. They are pretty universal, had no problems fitting our Schuberth and MT helmets. Helmets with a D-ring fastener can be carried by looping the two straps together like chain links. 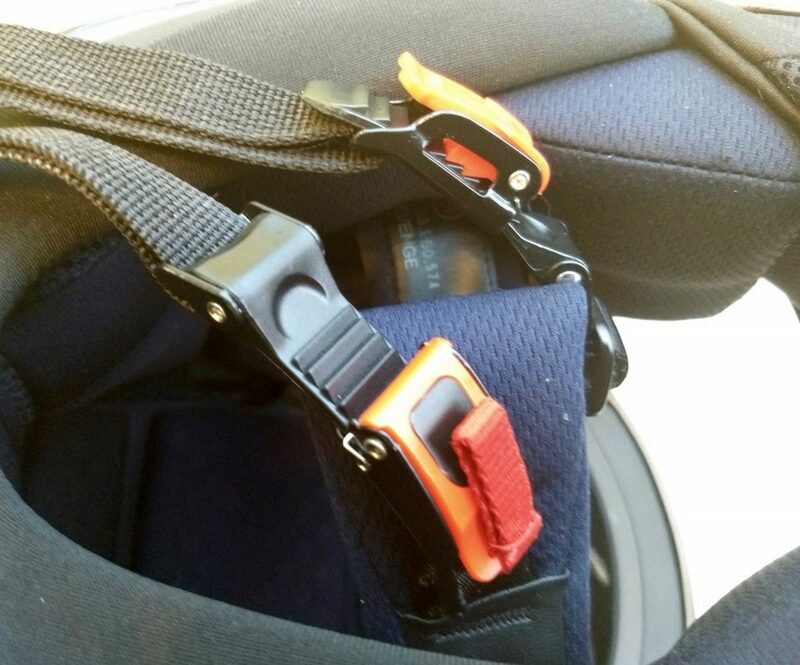 The strap is plenty small enough to stuff in a pocket or just stick around your shoulder whilst riding. It’s great carrying a helmet around on your shoulder, hands free to carry other stuff, eat grub, buy things, use phone etc. Just be careful, it’s easy to forget about your lid and bash it into stuff or people! It could also be handy to carry a helmet for a pillion your picking up. Mary recently nabbed the EZ-Go for a motorbike trip away and also found the EZ-Go super handy, especially when lugging stuff from bike to accommodation. 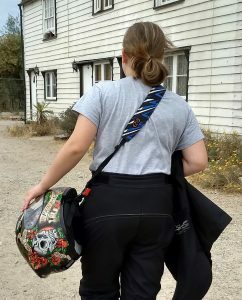 She was mighty impressed and in her opinion, gaining yourself another hand to carry gear is well worth £15. Find out more about the EZ-Go strap and buy direct from EZ-Go here. Or UK folk can buy the EZ-Go from Amazon here.